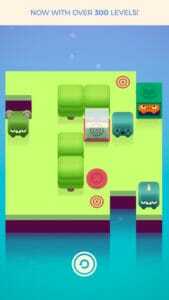 Shuffle Islands is a puzzle game catching variety of monsters. 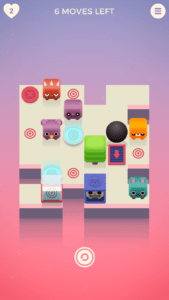 Shuffle Islands developed by Thomas Young is a cute puzzle game where your task is to catch little monsters before they cause trouble. If you enjoyed other fun titles like pudding Monsters then you’re going to definitely fall in love with Shuffle Islands. When it comes to mobile games, there is nothing more like good puzzle games, I’ve seen many mobile games out there in the years, but I’m always on the lookout for entertainment games. These games makes us to think about even more and will try many times before I solve them. The end result will be satisfying. I love the theme of shuffle Island. The visuals in shuffle Islands are beautiful and one main reason why it was drawn to the game in the first place due to its use of soft and vibrant colors, and little monsters have their own unique appearance and personalities. The different Islands apper in the game with distinctive layouts with background animations, and the games have good detail with the textures and color gradients. Animations in the game are buttery soft and fluid in the game with no lag in iphone6. The soundtrack in the game are whimsical and ambient and will get bit tiring after a while. overall its the complete package of music and audio. Like other puzzle games, Shuffle Islands is a level-based where you need to clear all the stages before moving to next level with total 200 levels right now. The main objective in the game is to round up all the monsters on the island by having them instructing them to bullseye spots, where they are died with caged and caught. However monsters are easily pushed around but cann’t be until they are hit by something, like wall, tree and by making even more difficult. And you will be able to earn three stars depending upon your abilities and how fast you pick up to solve the puzzle. The controls in the game are simple and straighforward with one hand. To move monster swipe to the direction you want to go. As mentioned earlier monsters will walk until they’re stopped due to obstacle. Since the objective is to get them to the targets, you have to be very careful how to shift them before game starts because every moves are valuable. If you are out of moves, then you’ll have to try again. Once a monster is captured its details are added to the in-game bestiary. Like this you have to discover 100 monsters and if you want to learn more about these cute little creatures just tap on the button in the bottom left corner. Each one monsters have their own story which is more entertaining. Since this game is free game but there are some freemium elements. You start with 5 lives- If you fail will lose hearts, and you need to wait some time for it to refill. It does get annoying but waiting is not too bad. More lives can be purchased also more moves when you’re out. I suggest you to go for this game becausue it has done well, as everything can be solved in specific number of moves and timer for heart refill is more reasonable than other puzzle games.